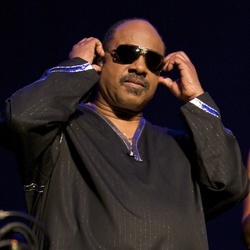 The second Billboard Icon Award will be presented to Stevie Wonder at the Billboard Music Awards scheduled for May 20 at the MGM Grand Arena in Las Vegas and showing nationwide on ABC. Last year, the fist Icon Award went to Neil Diamond at the revived Billboard awards. The show had been held annually in December from 1992 to 2006 where the winners were determined by the year-end charts. Because of contract problems with the Fox network, the 2007 awards were cancelled and it wasn’t until 2011 that the show was revived, scheduled for the late-Spring. The Icon Award took over for the old Billboard Century Award which had been claimed by Buddy Guy, George Harrison, Billy Joel, Annie Lennox, Sting and many others. Janet Jackson has the most awards in the show’s history with 33 (including 15 won in just 1990) with Mariah Carey in second (31) and Michael Jackson and Whitney Houston tied for third (30 each). It really is a very tough time for the publishers of magazines. It seems, at times, that there are more titles on the shelves that are competing for fewer and fewer eyes. Every year, Billboard tracks the hits of the summer months to determine their annual "Song of Summer". Celine Dion will be honored with the Icon award at the upcoming Billboard Music Awards. 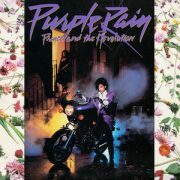 Prince has smashed all chart records, putting five albums in the top ten and nineteen albums in the Billboard 200.